Rational use of cutters has become the trend of enterprise development. According to the analysis, the approximate cost composition of processing a workpiece is: machine tool cost 30%, fixed indirect cost 25%, operator 20%, raw material 20%, tools 5%. When choosing cutting tools, customers not only focus on whether they can fulfill the quality requirements of processing, but also on how to reduce the cost of work pieces and achieve higher product profits. However, from the point of view of cost saving, the cost of cutting tools is only about 5%, which is relatively low. 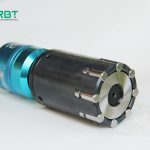 Therefore, the service consciousness of the cutting tool enterprises should shift from the cutting tool itself to the whole value chain of the workpiece in order to reduce the production cost of the customers greatly. And focus on the whole production process of the workpiece, including equipment running time, the lowest waste rate, output improvement and efficient personnel utilization. According to this idea, tool companies should build brand value-added solutions for all customers, starting from purchasing and planning, across the entire production process itself, until the disposal and recycling of tool waste. The program has four standardized service modules, including planning, production and logistics, maintenance, training and professional knowledge. Only about 5% of the cost of cutting tools can be reduced by 20% to 50% through continuous improvement of the whole process service plan. The demand for cutting tools has also been raised. For example, automobile cutting tools must have the characteristics of high efficiency, high stability and specialization. With the continuous development of the automobile industry, new requirements arise at the historic moment. From the technical point of view, the main trends are overloading, compounding, specialization, standardization, high-speed and diversification of varieties. Therefore, under the guidance of tool enterprise service, it is very reasonable to choose the right and efficient cutting tools. High efficiency and high precision machining tools are very important, but they are ignored by many processing enterprises. Many manufacturing enterprises spend a lot of money on machine tools, but they are reluctant to buy advanced and efficient tools. At present, the consumption ratio of CNC machine tools and cutting tools in large and well-known enterprises is 2:1, while the consumption ratio of machine tools and cutting tools in many small and medium-sized enterprises is too low, and the total consumption of cutting tools is less than 1/5 of the total consumption of machine tools. 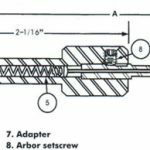 How to correctly select and rationally use cutting tools for efficient and high quality cutting has become a very important industry topic. ← How to solve blackening on roller and central spindle of burnishing tool?